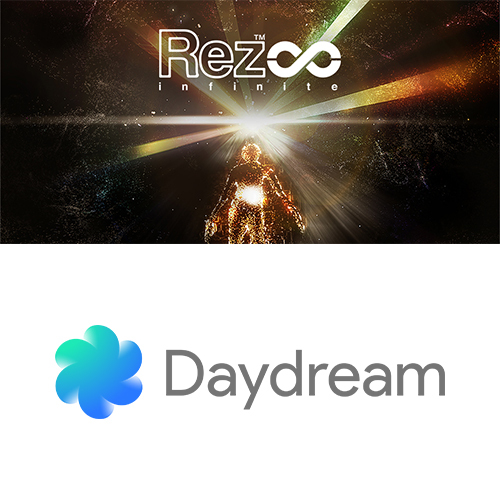 One of the most critically-acclaimed games of all time comes to Daydream in style: Experience 360 degrees of mind-blowing synesthesia as you blast through waves of enemies and giant transforming bosses, with colors and sounds that sync and blend to the beat of Rez’s legendary techno soundtrack. Survive the cyberspace gauntlet of the Project-K network and reawaken Eden to save a world on the verge of societal collapse in this action-packed arcade shooter. Incredible Environments: Experience classic Rez levels Areas 1 through 5 and an all-new free-flying experience in Area X optimized for mobile VR. Beautiful Soundscapes: Become immersed in Rez’s incredible music and sound effects. Wired headphones recommended for best audio experience. Download Rez Infinite on the Google Play Store on your Daydream-ready device.